Designed by Douglas W. Burdge AIA, of Burdge & Associates in Malibu, California. 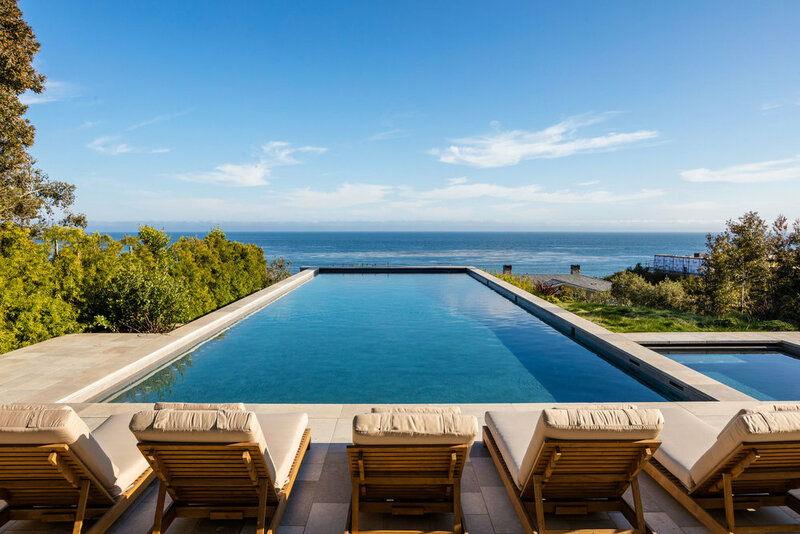 As the signature architect of Malibu, Doug has designed and built over 200 high-end estates in the Malibu region alone. This luxury estate home is modeled after homes in Cape Cod. The two-story home has a separate one bedroom/one bathroom guest house that sits on a private bluff with panoramic ocean views. A superb blend of understated elegance and impeccable craftsmanship, the home boasts oak plank floors and custom French doors throughout. The owner’s suite is complete with fireplace, wraparound oceanfront deck and dual closets with spa-like baths. The grounds include a covered open air pavilion with fireplace, al fresco kitchen with pizza oven, grill and two stone-crafted bars that flows to the pool, spa, sunken lounge area, and fire pit.